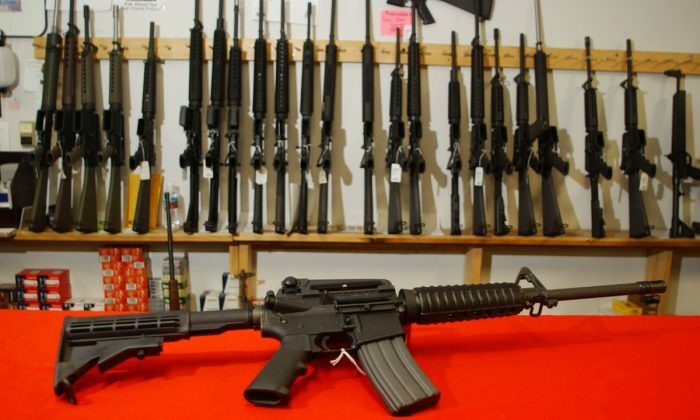 Lawmakers in Colorado signed a “Red Flag” gun bill into law on April 12 that will allow the removal of guns from a person deemed to be a danger to themselves or others. Law enforcement, family, and household members will be able to petition for the temporary removal of a persons right to possess a firearm, after proving with facts that the person poses a significant risk. The bill HB19-1177, called the Extreme Risk Protection Order (ERPO), goes into effect as of Jan. 1, 2020. 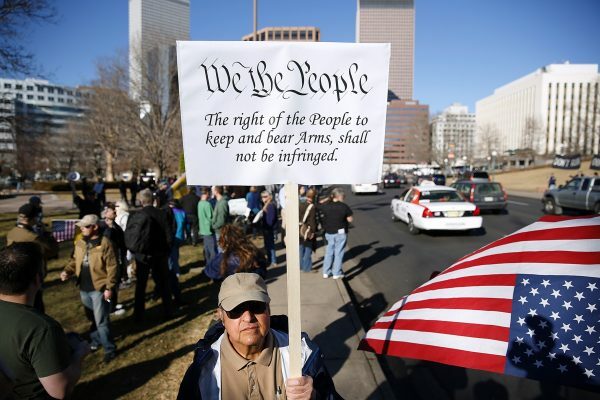 Some have criticized the new bill saying it violates the second amendment. After a petition is filed, the court is obligated to hold a temporary ERPO hearing in person or by telephone on the same day, or on the court day immediately following the filing day. Once a temporary ERPO is issued, a second hearing must be scheduled by the court within 14 days following the ERPO to determine whether a continuing ERPO is necessary. “If a family or household member or a law enforcement officer establishes by clear and convincing evidence that a person poses a significant risk to self or others by having a firearm in his or her custody or control or by possessing, purchasing, or receiving a firearm, the court may issue a continuing ERPO,” says the bill. At this point, the receiver of an ERPO must surrender all firearms to a law enforcement agency or a federally licensed firearms dealer, or in the case of relics or antiques, “to a family member who is eligible to possess a firearm and who does not reside with the respondent,” according to the bill. If the respondent of the ERPO has a concealed carry permit, they also have to relinquish the permit. Respondents are allowed to apply for the removal of an ERPO once during the 364 day period, and if able to prove they pose no significant risk can have the order terminated. Once an ERPO is terminated, all firearms must be returned within three days once the respondent requests them back. The original petitioner of an ERPO is allowed to ask for an extension before it expires if they can show clear and convincing evidence the person who received the order still poses a high risk. However, not all Americans share his optimistic view of the situation. Many counties in “Red Flag” states have declared themselves “Second Amendment Sanctuaries,” meaning county sheriffs, commissioners, and citizens are standing together to ensure the right to keep and bear arms remains intact. In 2013, two Democratic state senators in Colorado were recalled for pushing forward strict gun laws. Senate President John Morse and Senator Angela Giron were voted out of office and replaced by Republicans who showed opposition to the restrictions. There are now petitions to recall proponents of the “Red Flag” gun confiscation bill. The Rocky Mountain Gun Owners organization started a movement to recall any legislators that voted in favor of the bill.